We are pleased to present Stock Rover 2.0, which brings users a number of new features and enhancements, as well as support for the iPad. The main updates are detailed below. Stock Rover will now start up much more quickly in all of our supported browsers, Chrome, Firefox, Safari on the Mac, and Internet Explorer 9 and 10. The Table can now automatically refresh with the most updated price versions; previously data was updated only when something was clicked in Stock Rover. This means that even when users are not actively navigating through Stock Rover, the Table will still display the most recent data. 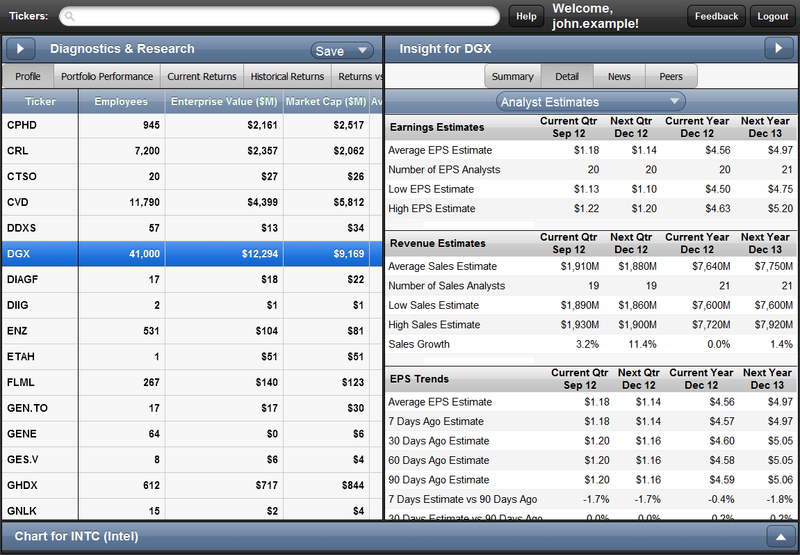 You can turn on auto refresh by going to Options -> Auto Refresh. Notably, our screener now includes a unique new quant facility which ranks stocks according to user-defined criteria that can be separately weighted for importance. 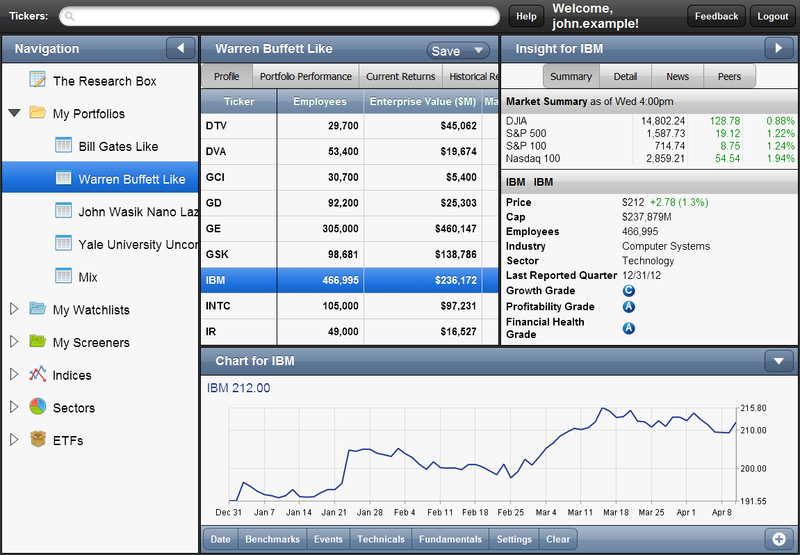 This makes it easy for users to identify their top stocks based on the criteria that match their investing preferences. 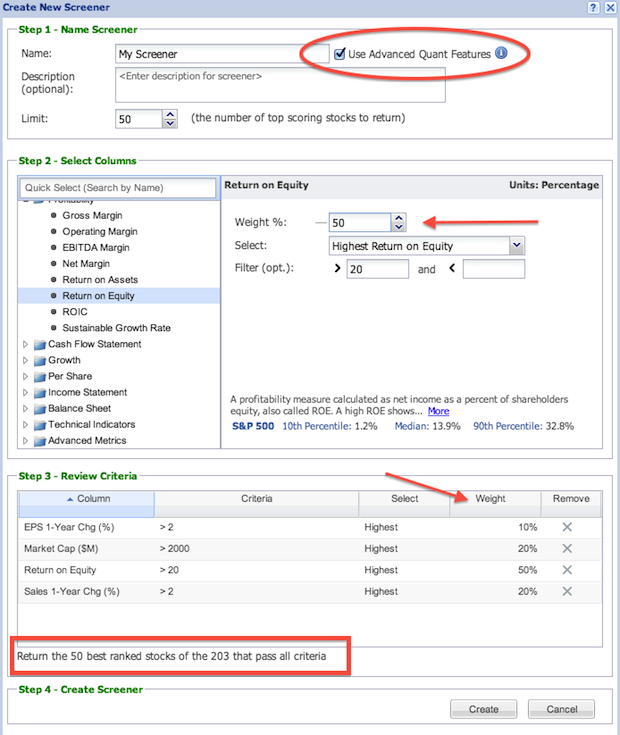 When editing a screener you will have the option to use the quant feature; once selected, you can assign weights to different metrics and have the results ranked accordingly. 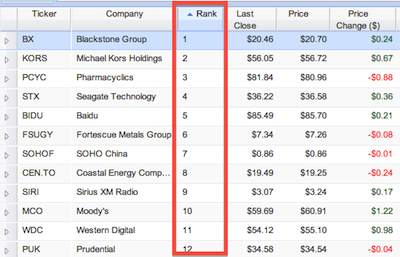 The image below shows the Rank column that appears after applying a quant; stocks in a given population are ranked according to weights the user has assigned. 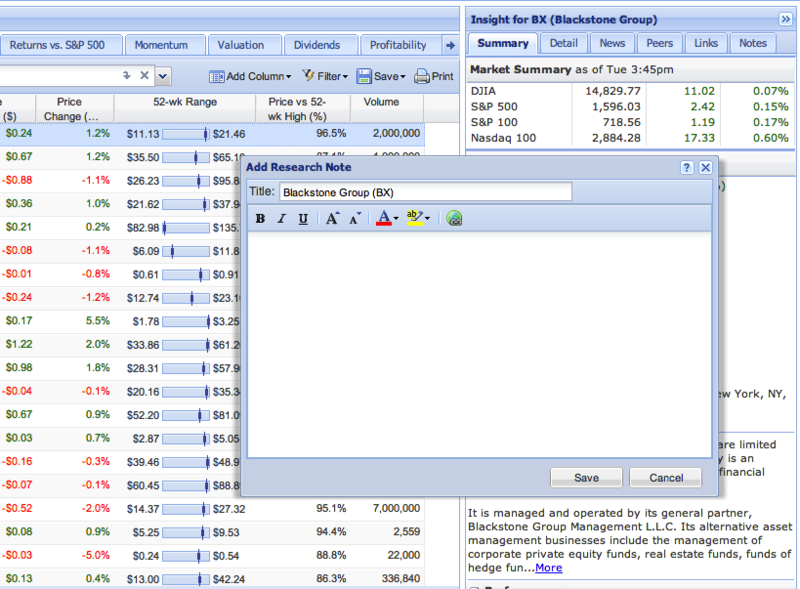 In time, the Quants facility will only be available to paid subscribers, but currently it is available to all users. Our Notes feature now permits navigation through Stock Rover while updating a note, and also includes a number of refinements that make the feature easier to use. From the Navigation Panel you can now easily chart all portfolios or watchlists at once. Right-clicking “My Portfolios” or “My Watchlists” in the Navigation Panel offers the menu option to chart all portfolios or watchlists, respectively. 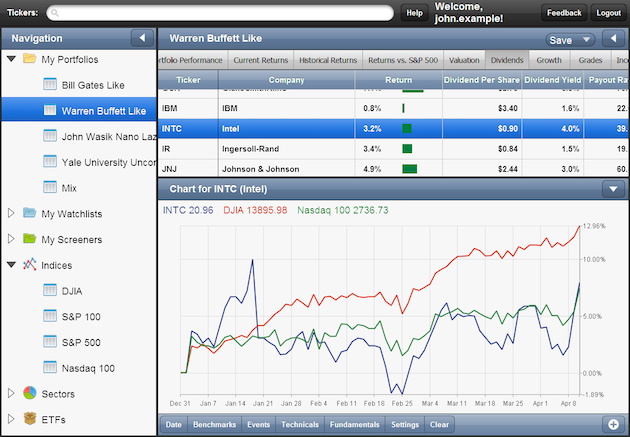 In addition, notice that when units are in percent, the percent change sign now also appears in the Chart legend next to a stock’s price, making it more visible. You can now export your View as a .txt file to save it to your computer or send to a friend who uses Stock Rover. To export and import Views is simple. Right-click on the tab of any View you want to export and click ‘Export.’ The file will instantly download to your computer. To import a View, click on any View tab and select ‘Import’ (like in the screenshot below). In the dialog box that appears, navigate to the View .txt file you want to import and load it. You will have the chance to name it and review the columns it contains (which you can modify later). Click ‘Import’ and the imported View will appear as a new tab at the top of the Table. Daily Price Range, shown below, is a graphical metric similar to 52-week Range. 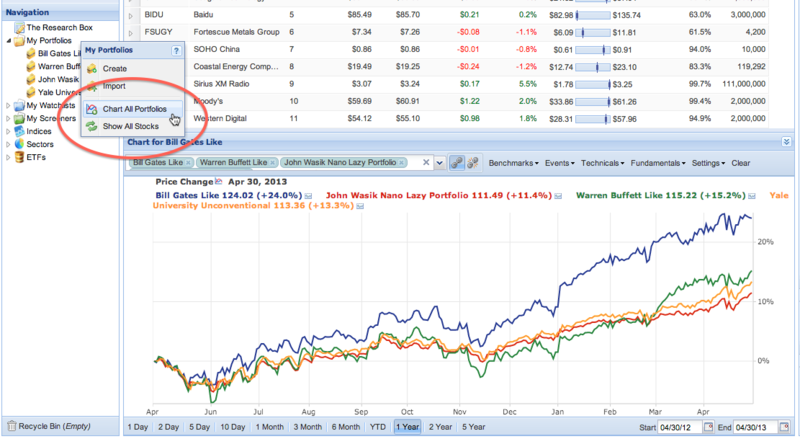 Price to Target tells you how far a stock in your portfolio is from the target price, or what you consider to be the full-value price. The iPad version follows the same paradigm as the web app with modifications for usability and speed. All panels can be minimized or resized depending on what you are working on. Here the Insight Panel is minimized. 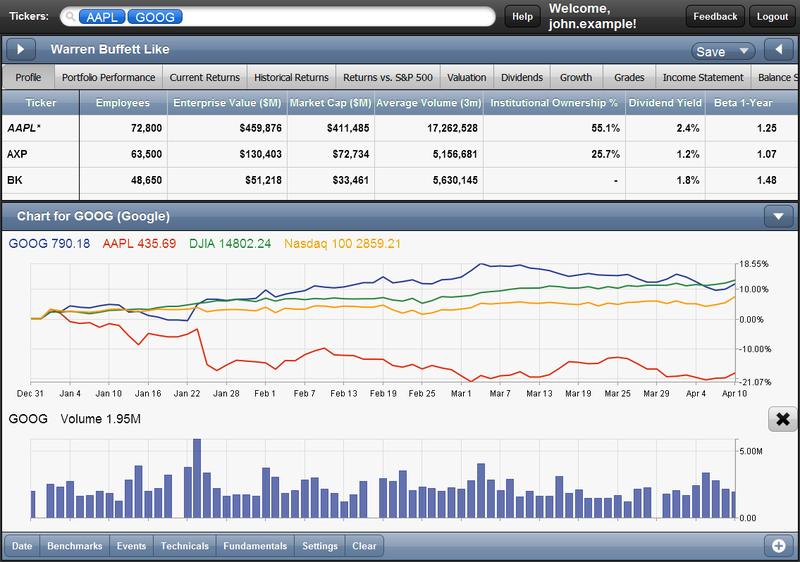 Below the Chart Panel is minimized. Below you can see price and volume being charted. Those are all the main differences of Stock Rover 2.0, but you may also notice a variety of subtle refinements to the web app. We hope you enjoy these changes and find them useful. 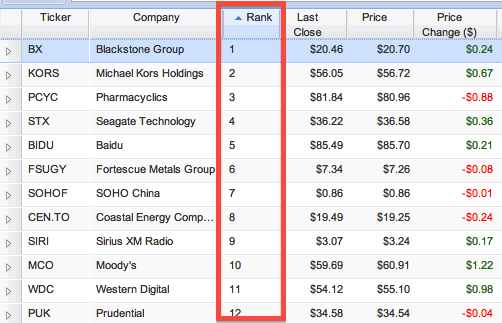 You can always let us know what you think at feedback@stockrover.com.